A new report by SOMO reveals that multinational companies operating in conflict-affected areas often lack proper policies on how to deal with conflict situations – thereby running the risk of contributing to human rights violations and sparking renewed conflict. To meaningfully contribute to peace, multinationals must act with much greater care in situations of fragility and conflict. The research challenges the widespread belief that private sector development has a mostly positive influence on peace building and economic reconstruction, and argues that the relationship between the private sector and conflict requires further scrutiny. 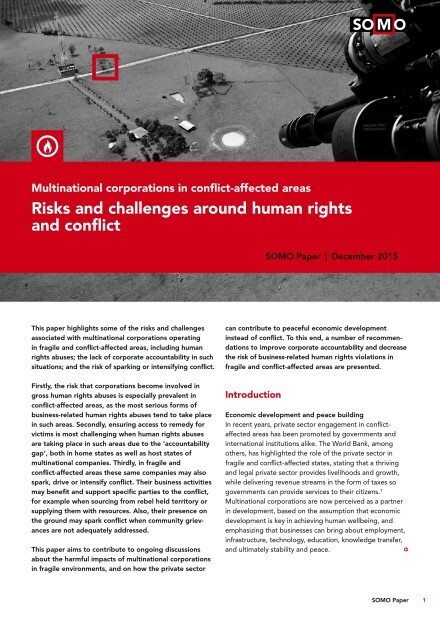 Many companies – especially so-called “hit and run” companies – operate in conflict-affected areas without making long-term investments, while benefiting from the fragility and the governance gap. Fragility enables companies to operate without accountability, and to profit from the government’s weak bargaining position. The resulting vicious circle contributes to already fragile situations and can lead to renewed conflict because of grievances among local (often traumatised) populations expecting to benefit from private development. This is compounded by an almost complete lack of access to remedy for victims when human rights abuses take place in conflict-affected areas. 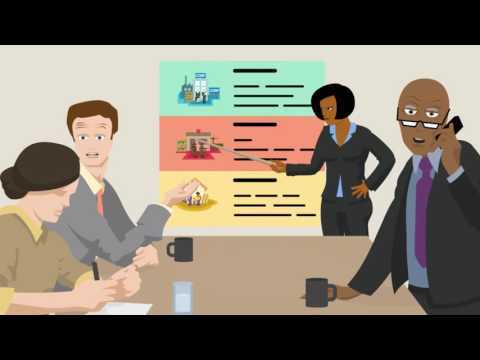 The new report, ‘Fragile! 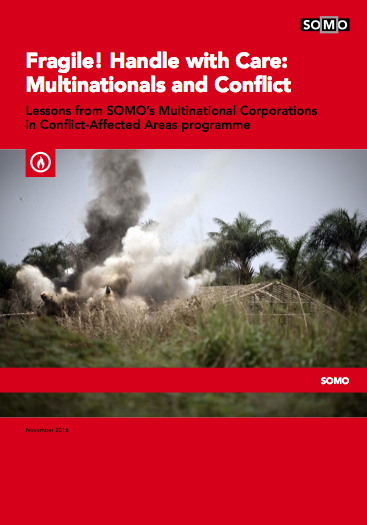 Handle with care: Multinationals and Conflict’, draws lessons from SOMO’s research over the past four years on multinational corporations in conflict-affected areas. It considers research on extractives and agro-industries and their impact on human rights in five countries: Colombia, Democratic Republic of the Congo, Liberia, Sierra Leone and South Sudan. 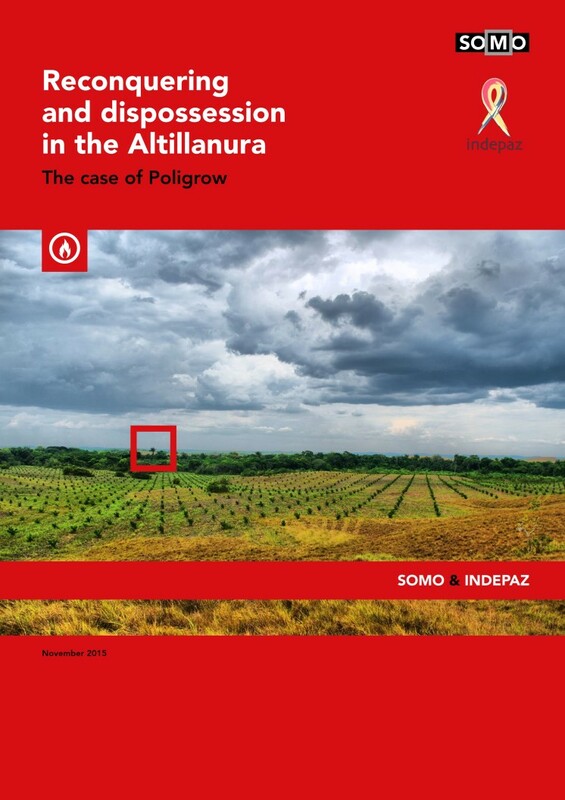 These case studies provide many illustrations of business-related human rights abuses in contexts of conflict and fragility, and valuable lessons on how companies operate in conflict-affected areas. 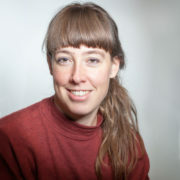 The report asserts that fragile states’ governments can improve their bargaining position with multinational corporations by building capacity to better negotiate contracts and to assess the long-term implications of companies’ investments, including social cost-benefit analyses. It is also crucial to allow sufficient space for civil society to operate in fragile and conflict-affected areas. 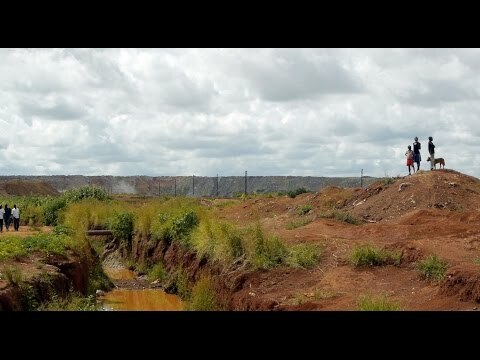 Cobalt from Congo: whose wealth? 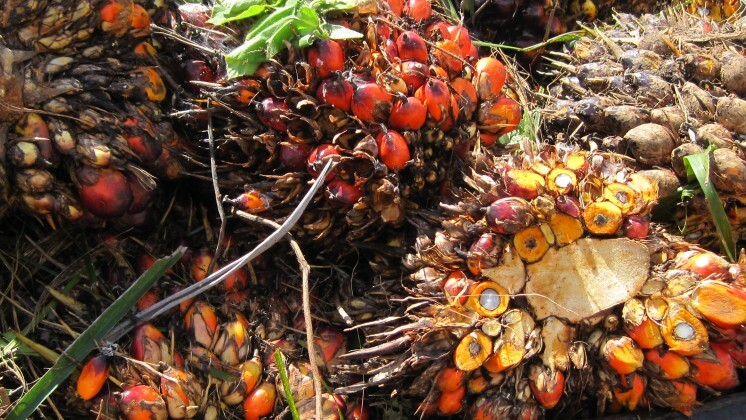 Palm oil is used for everything, from food and household products to make-up and biofuel. 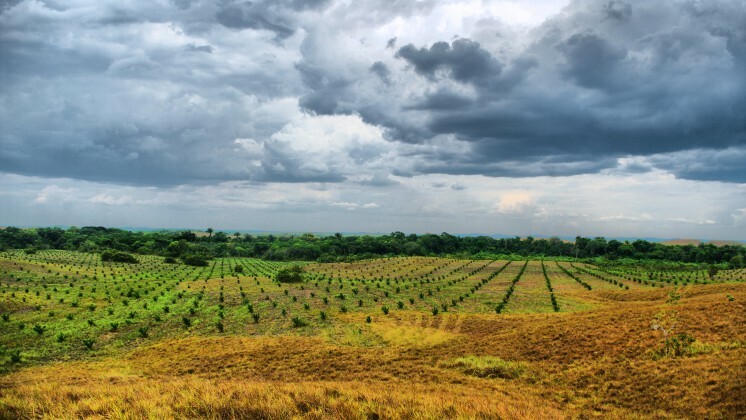 In the last 10 years palm oil production has doubled worldwide. 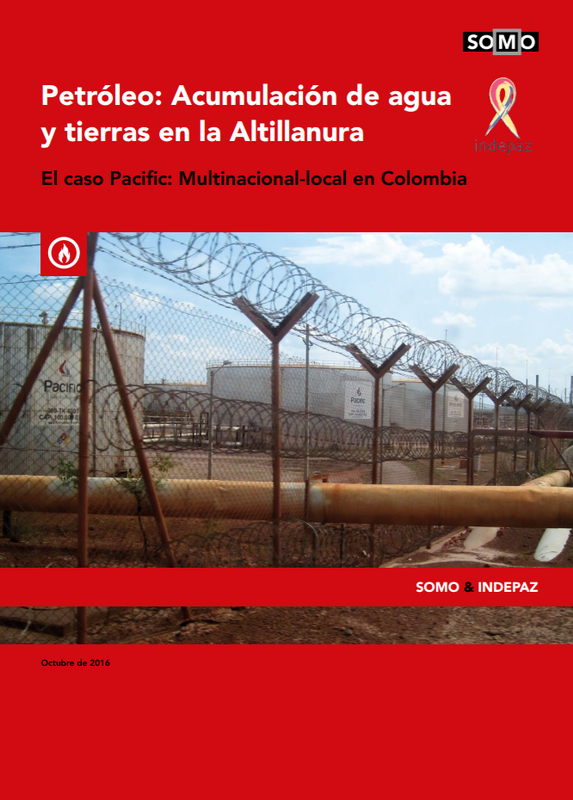 Colombia benefited by becoming one of the largest exporters….